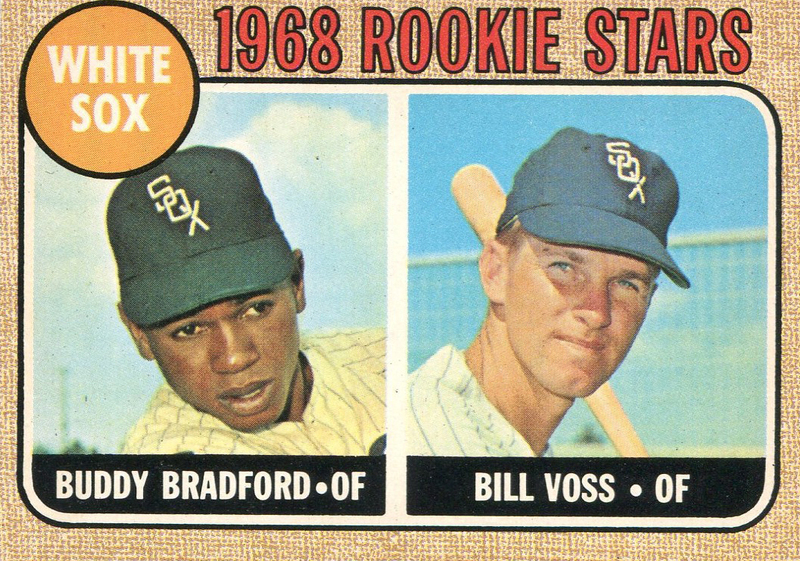 Happy Birthday to Buddy Bradford, an outfielder who played eleven seasons for the White Sox, Indians, Reds and Cardinals from 1966 to 1976, the same years that I played. I faced him for the first time during our rookie seasons, on October 1, 1966 at White Sox Park. Buddy was the leadoff hitter and started the game with an infield single to Mike Ferraro at third base. He singled again in the bottom of the sixth and scored off Jim Hicks’ hit. In all, he was 2-for-4 that first game, which the Yankees won, 5-3. The game I remember most was June 1, 1976, during my brief time with the Texas Rangers. We were at Comiskey Park and I entered the game in the bottom of the sixth in relief of Steve Hargan. We were ahead 5-3, with the bases loaded and two outs. Buddy was on third. 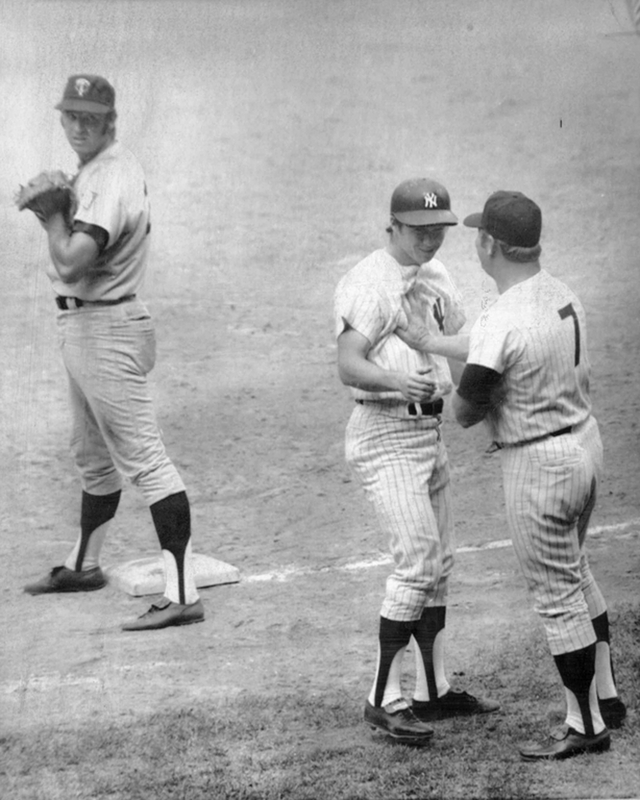 Bill Stein singled to center, scoring Buddy; the inning ended when Juan Beniquez threw out Richie Coggins at home. I have up a leadoff Single to Pat Kelly in the seventh, but then retired Ralph Garr, Bucky Dent and Jorge Orta; our 5-4 lead was protected – for now. In the eighth, I gave up a leadoff double to Jim Spencer. Buddy hit a single to center, scoring Jim and tying the game at 5-5. That was it for me. I didn’t know it at the time, but I would pitch just twice more before my career would come to an end. But more importantly, the Rangers won 6-5 in the sixteenth inning off Lenny Randle’s RBI double. One footnote to my last game with Buddy: After the Rangers won, the White Sox lodged a protest. The Rangers had used Bill Singer as the starting pitcher, and he had pitched 6 1/3 innings. After Singer left the game – and while the game was still going on – the Rangers announced that they had traded Bill, along with Mike Cubbage, Roy Smalley and Jim Gideon, to the Minnesota Twins for Bert Blyleven and Danny Thompson. American League President Lee McPhail turned down Bill Veeck’s protest, saying that while using players after a trade has been agreed to but before it takes effect is permissible, it should be avoided. This trade came four days after my own trade to the Rangers; that’s how this future Hall of Famer and I became teammates, albeit just for a few weeks. George Steinbrenner tried to buy the Cleveland Indians in the early 1970’s, before he put together a deal for a little less than what Brett Gardner will make this year alone to buy the New York Yankees. The Boss was an Indians fan who grew to love the Yankees, the same way I developed a deep affection for my adopted team when I was traded to Cleveland in 1974. I was a proud member of the Tribe for nearly two seasons. I went to the Cleveland Indians during an especially tough time in my life and I will always have tremendous affection for the team and its fans, who made me feel welcome and rejuvenated. When I got to the Indians, I could not wear #19 because that number belonged to the extraordinary Bob Feller, one of the greatest pitchers in the history of baseball. So I got #30, which Gene Bearden wore during the Indians World Championship year of 1948. Gene went 20-7 that year, part of an amazing pitching staff of Feller and Bob Lemon. I remember being around 11-years-old growing up in Chicago and listening to the radio when Gene was pitching the White Sox. Later I switched to #16, which had been worn by another great pitcher, Hall of Famer Hal Newhouser. I focus on the uniform because that is a big deal to a player, and to me it represented the next chapter of my baseball career. I had been a Yankee since I was 21, and in MLB it was always pinstripes. It was April 30, 1974, four days after the trade, and the Indians were playing the Minnesota Twins at Metropolitan Stadium. This was my first start for my new team, and I admit I was a little nervous. Maybe it wasn’t being the new kid on the first day of school as it was the fear of pitching against Bert Blyleven, but anyway I was in a new uniform for the first time since trading in the Columbus Clippers jersey for pinstripes. 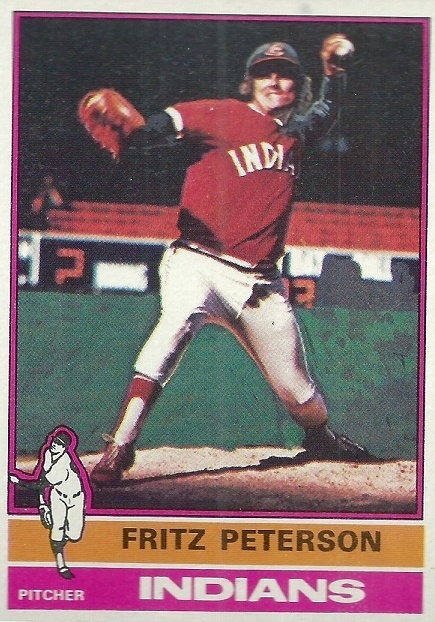 The first game I played for the Indians was on April 30, 1974, four days after the trade. It was a Tuesday night and we were playing the Minnesota Twins at Metropolitan Stadium. John Lowenstein, the leadoff hitter, made it to first on shortstop Luis Gomez’s error, and moved to second on Jack Brohammer’s single. John stole third, and scored when Jack stole second and moved to third on Randy Hundley’s throwing error. Oscar came up with two outs and singled to center, driving in Jack. So I took the mound as a first-time Indians pitcher with a 2-0 lead. Oscar went 2-for-4 in that game – he also hit a double and was intentionally walked in the fifth when the Yankees scored four more runs. I was pulled in the seventh after Danny Darwin hit his second Home Run of the day against me, and Freddy Beene, who came to Cleveland in the same deal as me, came in and settled everything down. I got my first win on the new team as Cleveland won 8-3. 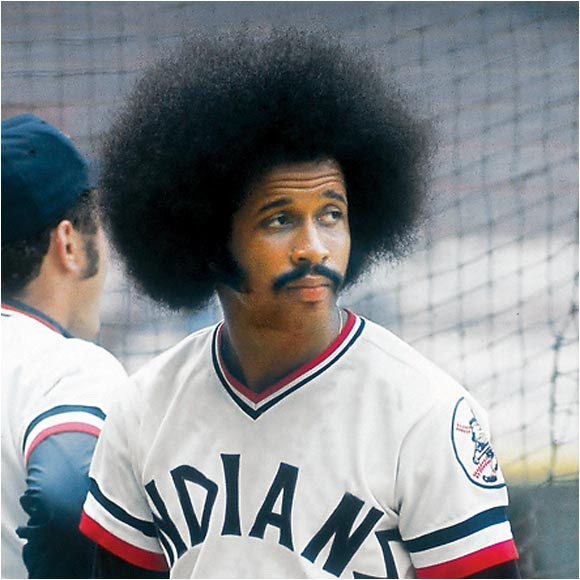 I never pitched to Oscar Gamble. He was in the National League for five years before being traded to Cleveland, and I joined him on the Indians in 1974. We were both traded in 1976 – Oscar to the Yankees and me to the Rangers. 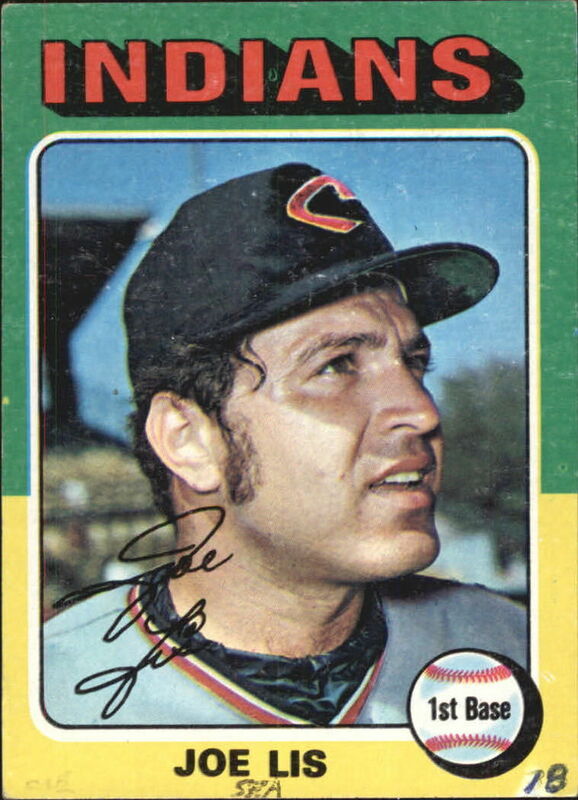 I didn’t pitch much against Cleveland in 1973, and when I did, Oscar wasn’t in the lineup. He didn’t play in the game I threw against Cleveland in 1974, just before the trade. And my career in Texas was over before the first series against the Yankees. I liked Oscar immediately, probably because of how he helped me in my first game as an Indians pitcher. It was April 30, 1974, four days after the trade, and the Indians were playing the Minnesota Twins at Metropolitan Stadium. This was my first start for my new team, and I admit I was a little nervous. Maybe it wasn’t being the new kid on the first day of school as it was the fear of pitching against Bert Blyleven, but anyway I was in a new uniform for the first time since trading in the Columbus Clippers jersey for pinstripes. John Lowenstein, the leadoff hitter, made it to first on shortstop Luis Gomez’s error, and moved to second on Jack Brohammer’s single. John stole third, and scored when Jack stole second and moved to third on Randy Hundley’s throwing error. Oscar came up with two outs and singled to center, driving in Jack. So I took the mound as a first-time Indians pitcher with a 2-0 lead. Oscar went 2-for-4 in that game – he also hit a double and was intentionally walked in the fifth when the Yankees scored four more runs. I was pulled in the seventh after Danny Darwin hit his second Home Run of the day against me, and Freddy Beene, who came to Cleveland in the same deal as me, came in and settled everything down. I got my first win on the new team as Cleveland won 8-3. I can’t write about Oscar without mentioning his hair. The massive afro that stuck out from beneath the Topps “Traded” card with the artist-enhanced Yankee cap in 1976 sort of defined Oscar Gamble to a generation of baseball fans. A good player with big hair.